2007 - Dammera, grey (charcoal) Arabian filly by *Piaff®. 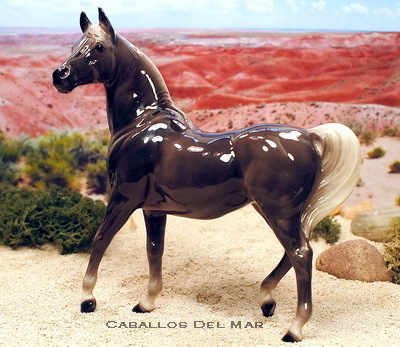 Owned by Kay Myers/Caballos Del Mar. 2008 - Brother Ladd, dark dapple grey Arabian colt by Tajne. Owned by Natasha Powers/Powers Stud.